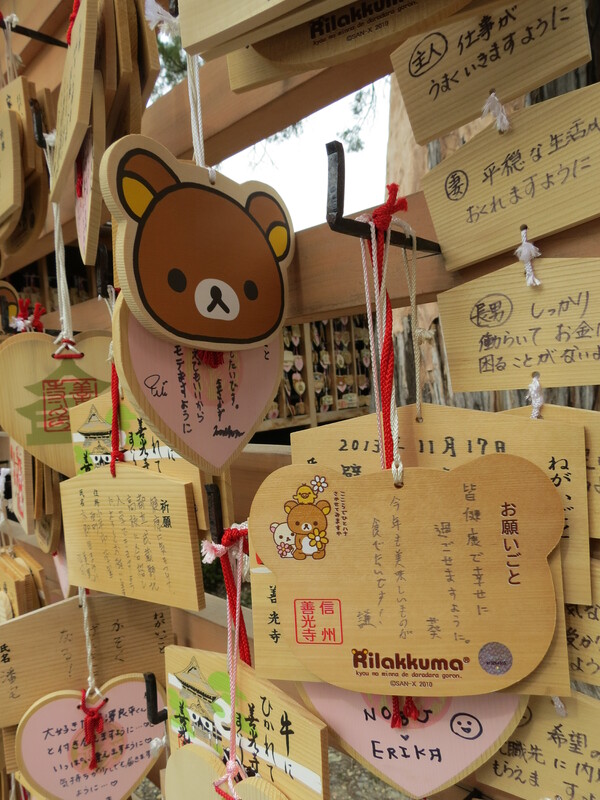 At Zenkoji (a temple in Nagano) today I spotted these Rilakkuma (リラックマ) ‘ema‘ (絵馬) boards with people’s prayers and wishes on them. Cute. Rilakkuma ema are so cute, aren’t they? 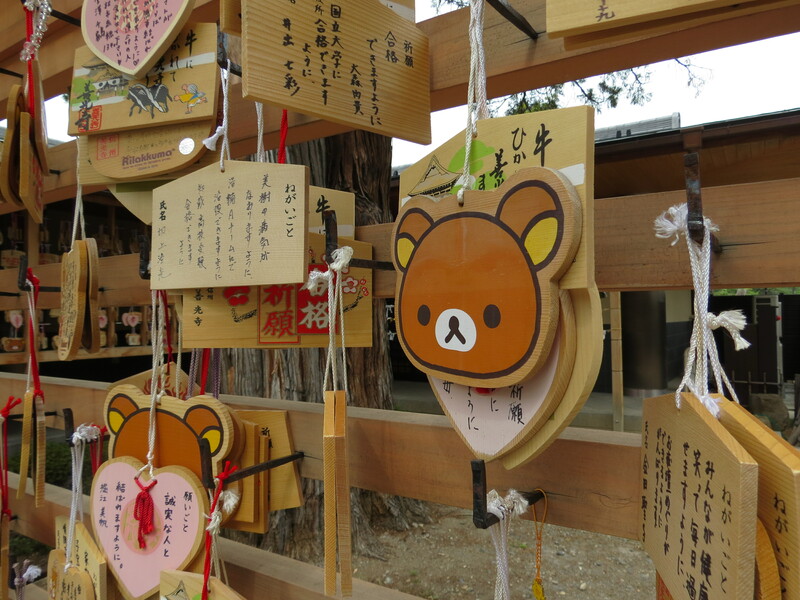 I’ve seen them at quite a few shrines and temples. « Postcard from Japan: Hungry?